Southern Arrondissement: A Novel Idea. My free time in Charleston was mostly spent meandering down King Street, the heart of shopping in the historic city. Charleston feels like it is forever changing-which is such an interesting concept for a place that is so old and filled with tradition. Upper King is really evolving, every time I visit there is a new restaurant or bar; the Charleston branch of Raleigh's The Alley (bowling alley for those not familiar) will be opening on Upper King in the near future. Go further down the Peninsula, and you will find the almost institutional, at this point, Bob Ellis shoes-a place where the well-heeled in Charleston can get their Louboutin fix. The unfortunate closing of the Saks on King made way for (whomp whomp) Forever 21, but it's also giving growth to some of the really wonderful boutiques that dot the landscape on the bustling street. More on some of those to come. A new(er) edition is Novel. A collaborative effort of some super talented and creative ladies that have come together and opened this beautiful, bright space located right above the Cynthia Rowley boutique. 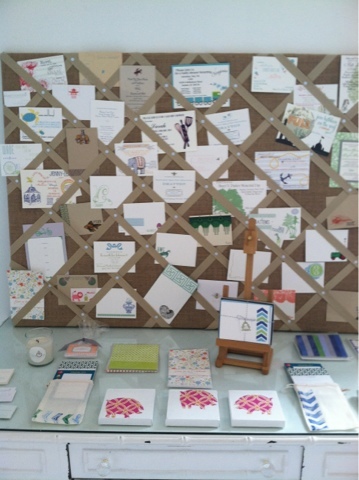 It is home to Bon Vivant, a custom stationary line, Library, an archive of vintage fashion curated by Lauren Lail, Jane Pope/Balboa jewelry, and blue chickadee-hand painted art and accessories by Way Way Allen. 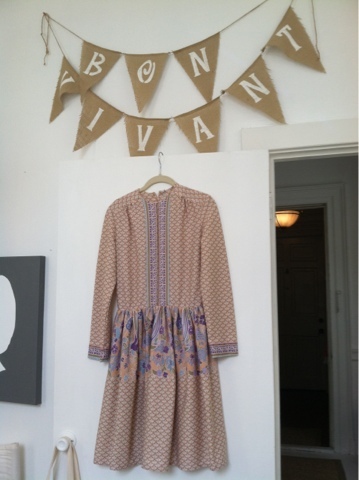 Liza Cleveland, the creator of Bon Vivant met me there with her precious pup Sully and let me take a tour. 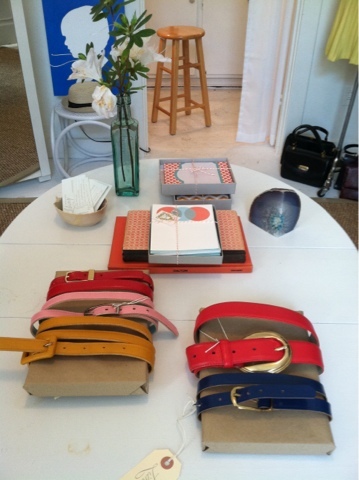 Three all-white rooms are the canvas for the wares at Novel. 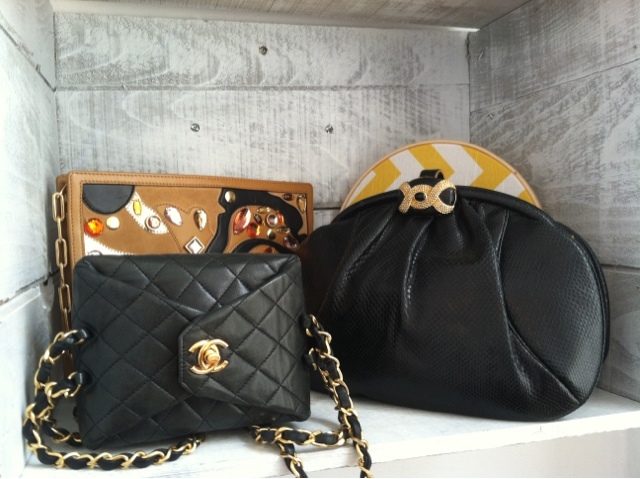 You'll find a vintage Chanel bag nestled under a bright canvas, a hand-painted bib (with antlers!) 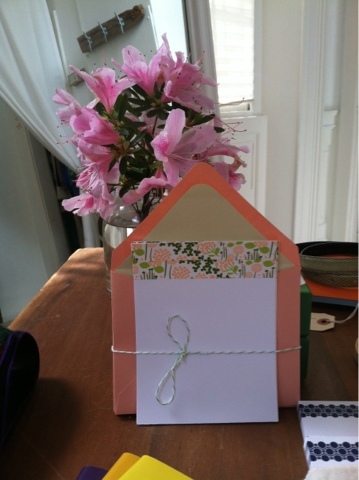 next to a custom stationary set-complete with matching ink pen. 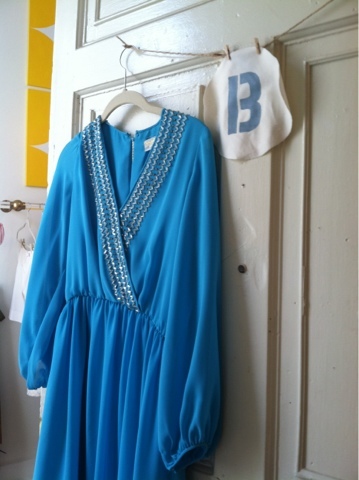 I spent a lot of time on the vintage racks, and ended up with the gorgeous blue beaded number below. 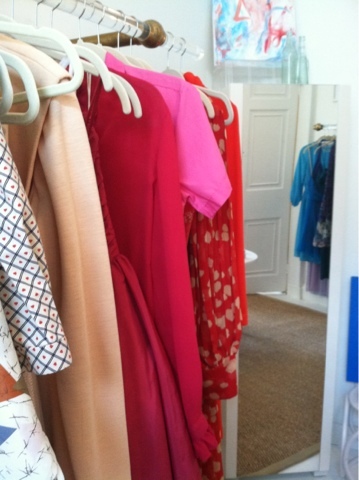 With vintage things just seem to jump out at you; you can look at the same rack three times and each time see something you hadn't seen the previous glance. 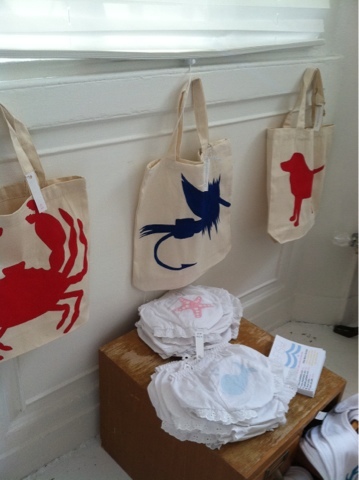 There were adorable bloomers with pale blue or pink animals adorning the primetime space-really sweet and unique baby shower gift ideas. 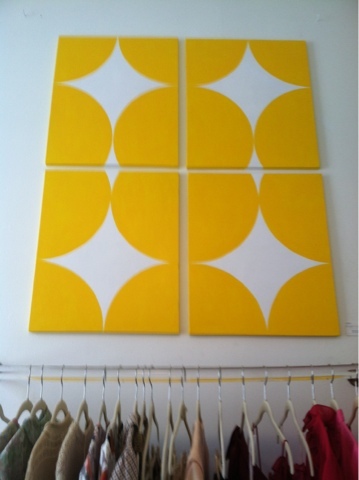 Not to mention the wall art-ranging from modern to sweet (for a nursery or child's room). 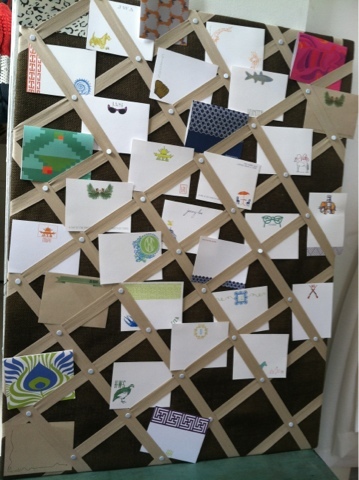 Liza's line of notecards and stationary is wonderfully imaginative and bright. She can create anything it would appear. 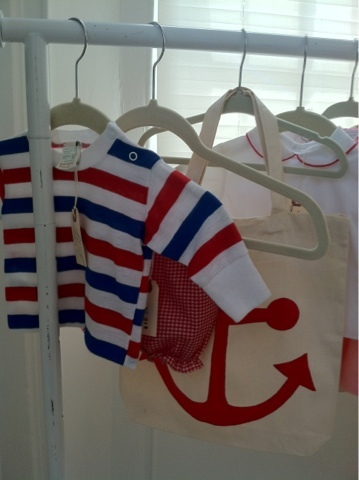 Vintage baby clothes with a blue chickadee canvas tote! 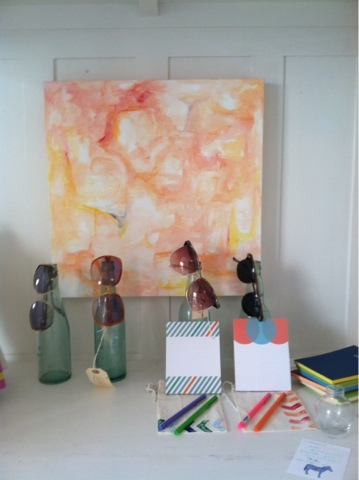 A painting by Way Way Allen, vintage (fabulous) sunglasses, and Bon Vivant notepads. 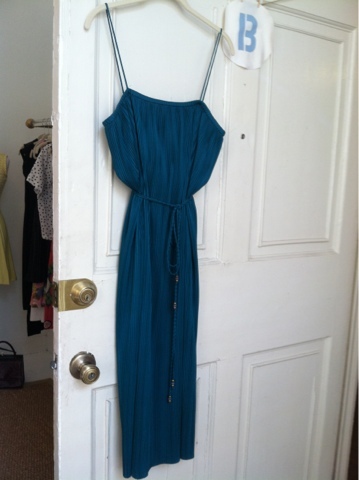 Gorgeous vintage pleated dress. 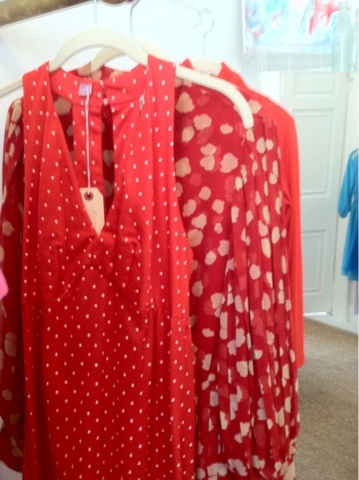 Great for a summer wedding. 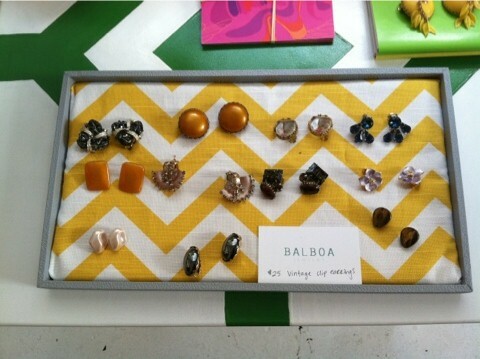 Vintage earrings courtesy of Jane Pope/Balboa jewelry! 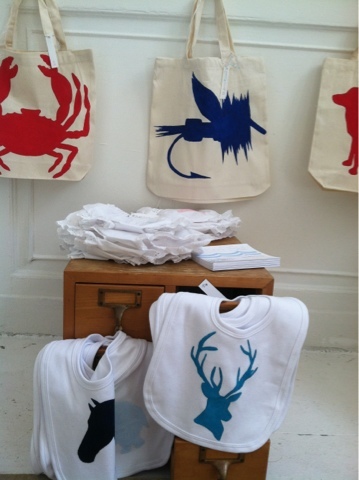 blue chickadee bibs, bloomers, and canvas totes!!! Catherine!!! Thank you so much for this nice post on Novel.!!! I am so sorry I missed you while you were here!!! 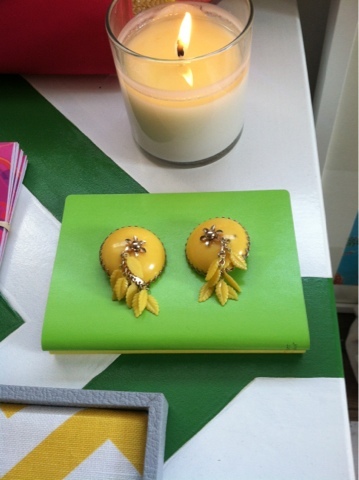 Love all the colorful pics you got of our space-very Springy!!!! Hope to see you soon back here in Charleston! You are so welcome, there was so much to see! Everything looked great, and I really love some of your more abstract paintings!! Hope you'll do more! Yay!!!! Thank you, thank you!!! !